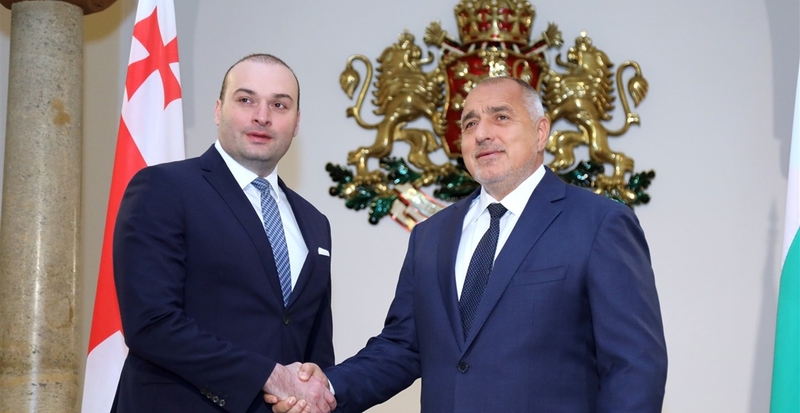 Meeting Georgian Prime Minister Mamuka Bakhtadze in Sofia, his Bulgarian counterpart and host Boiko Borissov has spelt out ambitions to significantly increase the ferry service. Borissov said that for Bulgaria, Georgia is a very important partner on the other side of the Black Sea, where cargoes are collected, and he also underlined its links to eight other Caspian countries. “Now we have two ferries a week, our ambition is to have two a day, which would be good for the ecology and for business,” the Bulgarian Prime Minister said. The two countries should commit to resolving that there would be no administrative obstacles and to have the infrastructure on both sides to take on these loads, he said. Borissov said that the Hemus motorway was being built and the increase in ferries would “bring back the shine” to Bulgaria’s Black Sea port Varna. Such ferry connections were set out as among the priorities of the European Commission, he said. He also addressed the issue of digital infrastructure. “Many times I have talked about it, there are also willing investors from Georgia, as far as I understand if not between Bulgaria and Georgia, if not with the help of the EC, within a few months to start building and laying the cable for data transfer, allowing the whole Caspian region to use the internet,” Borissov said. He said that he saw great opportunities in the fact that Georgia is a large producer of energy and that of hydroelectric power plants. “We agreed to look for investors and to work on this topic,” he said. Bakhtadze said that Georgia and Bulgaria share a long history of friendship, good relationships and historical ties between the two countries that date back centuries. “We are very glad that our relationships are still strong and there successful joint projects all these years,” he said. Bakhtadze said that in recent years Bulgaria has become one of the top 10 trading partners of Georgia. “We will further deepen our trade and economic relations,” he said. He identified the Black Sea as an important asset between the two countries, allowing for connections, especially in the field of transport and infrastructure. “Today we have also identified potential projects in which to partner in the field of humanitarian and social activities,” Georgia’s Prime Minister said.